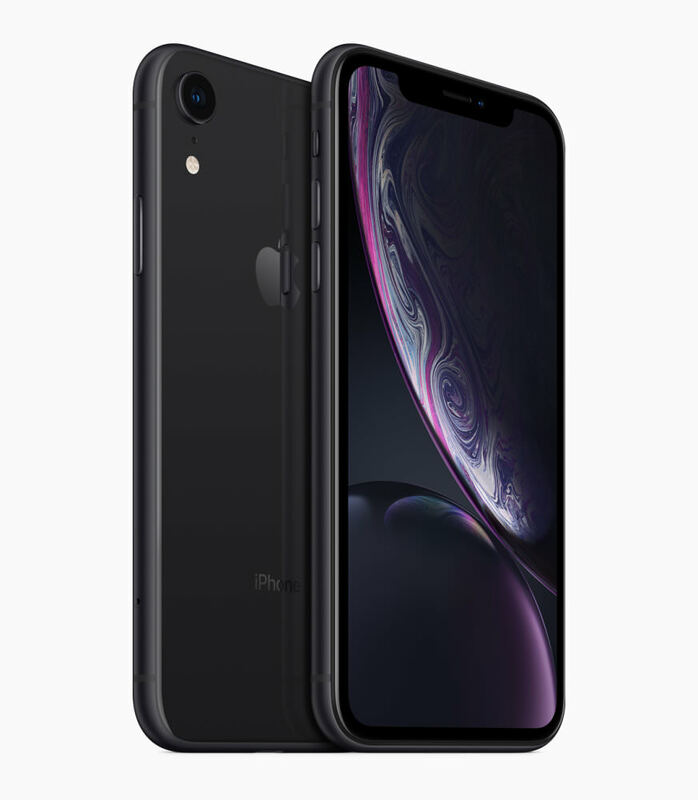 Like clockwork, Apple announced the arrival of three new smartphones this week: iPhone XS, iPhone XS Max and iPhone XR all of which are upgrades to last year's line-up which included the iPhone X, iPhone 8 and iPhone 8 Plus. As the phones are, literally, brand-new to the market, we haven't had the chance to take photos with them so we'll just be comparing the key specs provided by the tech giant to find out what's new, what's the same and if the new phones are a worthwhile investment. Let's begin with a quick comparison of the key specs photographers will be interested in side-by-side (you can see the full list of specs compared in the table at the bottom of the article). As you'll see, there have been improvements made across the board, which will please Apple fans, but with the improvements come even more premium price tags with prices starting at around $750 (USD) and breaking the $1K mark with the Xs Max. As photography is our thing, let's start with a look at the cameras which are pretty much the same as we've seen before. On the rear of the iPhone X, XS and XS Max you find a dual, 12MP camera with a wide-angle, f/1.8 and telephoto, f/2.4 lenses (28mm-56mm 35mm equivalent). The iPhone XR doesn't offer the dual camera on the rear, just a single 12MP camera with a wide-angle, f/1.8 lens. This also means the XR doesn't offer optical 2x zoom as the other smartphones do, just digital and you all know how we feel about digital zoom (in a nutshell, it's a bit rubbish). 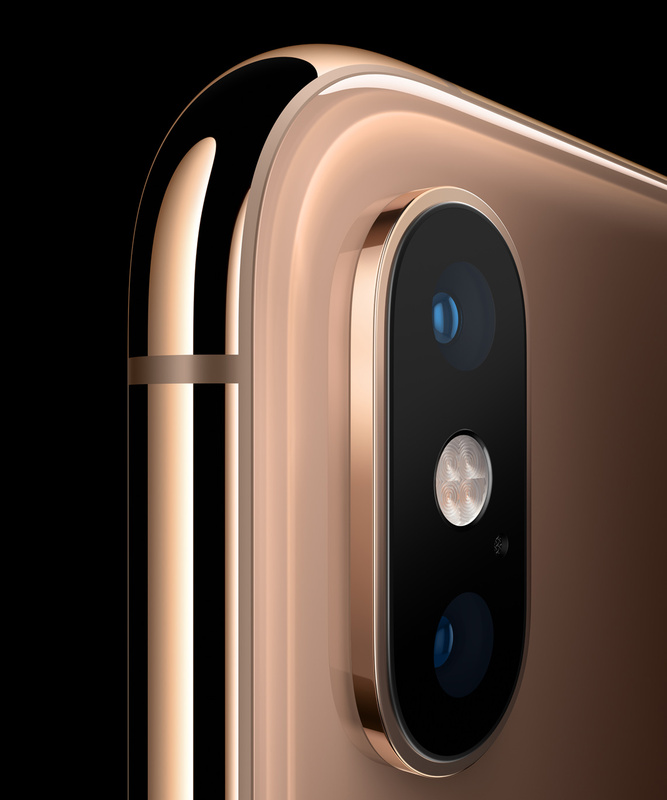 Selfie fans will be happy to hear the 7MP, f/2.2 camera can still be found on the iPhone XR, XS and XS Max. Dual optical image stabilisation/optical image stabilisation is also built into the 'X range' iPhones. There is a new adjustable depth slider built into the iPhone XR, XS and XS Max we didn't see on the iPhone X which can be used post-capture to change the depth of field from f/1.4 right up to f/16 and the truedepth technology, first seen on last year's iPhones, is also built in so you can play around with various portrait modes. Another new feature on the iPhone XS, XS Max and XR is 'smart HDR for photos' which automatically merges several captures to create a better photo. We'll have to wait and see if any improvements have been made to the native camera app when we have the new iPhones in for review but as it's not really changed all that much every time a new iPhone has been released, we're not holding our breath. 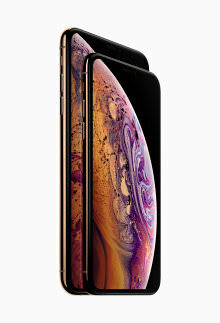 The biggest screen sits in the iPhone XS Max which measures 6.5", closely followed by the iPhone XR with 6.1" and the iPhone XS has the same size screen as the iPhone X sitting at 5.8". The iPhone XR actually offers a bigger display than that found in the iPhone 8 Plus but in a smaller design. None of the screen resolutions quite match the powerhouse that is the Samsung Galaxy S9 Plus with its 2960x1440 resolution (the iPhone XS Max offers the highest at 2688x1242). The iPhone X, XS, XS Max and XR all capture 4K video at 24,30 or 60fps and they also capture 1080p HD at 30 or 60fps. High-speed video is limited to 240fps. If you want to shoot video with the front facing camera you can at 1080p (at 30 fps or 60 fps on the newer smartphones which also offer cinematic/optical video stabilisation and an extended dynamic range for video at 30 fps). 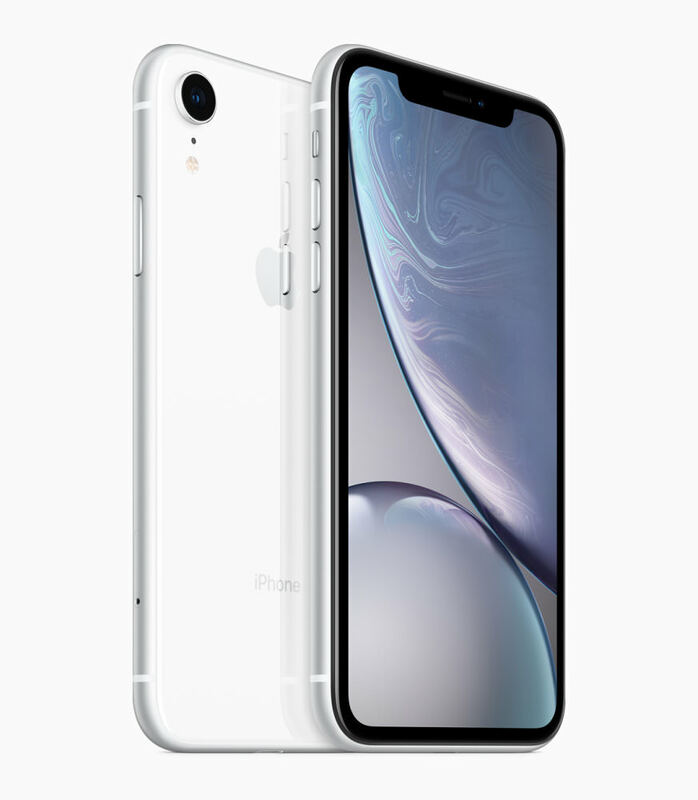 Front/back glass and a stainless steel frame can be found on the iPhone X, XS and XS Max while the XR has the front/back glass but it's surrounded by an aluminium frame. The glass back allows for wireless charging, something we're discussing next. You can charge the iPhones via USB or wirelessly but they still don't support Quick/Fast Charging - annoying. The iPhone X battery improved on the iPhone 7 battery by lasting 2 hours longer and the new iPhones also improve on previous smartphone battery life. The iPhone XS Max lasts up to 1.5 hours longer than iPhone X while the iPhone XR lasts up to 1.5 hours longer than iPhone 8 Plus. As for the XS, this lasts 30 minutes longer than the iPhone X. The iPhone XS Max is the biggest and heaviest iPhone to date, with the iPhone XR taking second place and the iPhone XS having the smallest dimensions (along with the iPhone X) but it does weigh a little more than the iPhone X. 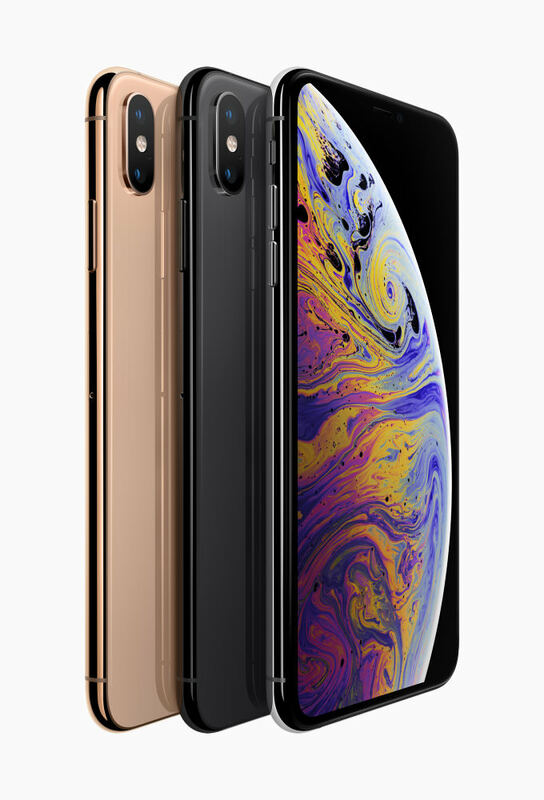 The three new iPhones have a better Bionic chip built in (A12 instead of A11), and the iPhone XS/XS Max also offer better water resistance than the iPhone X, giving resistance to a depth of 2 meters for up to 30 minutes (IP68). 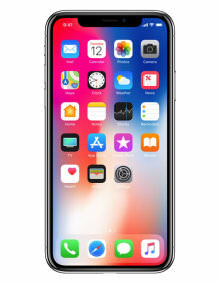 The iPhone XR offers the same resistance as the iPhone X: up to depths of 1m for up to 30 minutes (IP67). Capacity is improved in the iPhone XS and iPhone Max with a 512GB option available and a 128GB version of the iPhone XR can also be purchased (useful as you can't expand iPhone memory with MicroSD cards as you can with most Android smartphones). As there's no 'home button', Face ID is used to unlock all of the iPhones we are comparing which uses the TrueDepth camera for facial recognition and there's no headphone socket. Instead, you have to use EarPods or wired headphones via the Lightning Connector. The new iPhones will be available from October with prices starting at £749 and reaching over £1000. We'll be putting the cameras of the iPhone XR, XS and XS Max to the test when review samples become available. For now, have a look at our various smartphone comparisons, buyers guides and reviews which feature iPhones as well as several Android options.